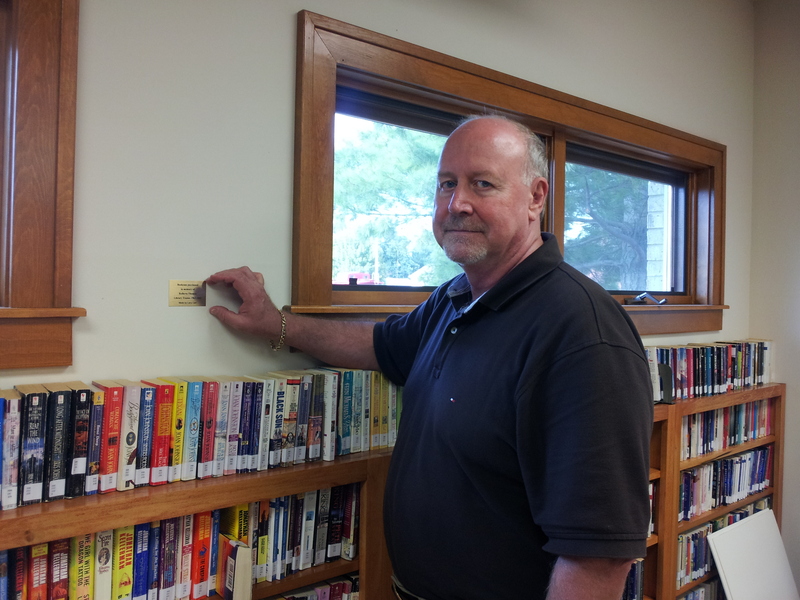 Vernon Dickey of Heyworth BSA troop 931 installed his Eagle Project at the Heyworth Public Library on August 19. He and eleven of his fellow scouts, scout leaders, siblings, and Heyworth High School Key Club members installed two rain barrels and did landscaping clean up work. This project was funded by the family of Marilyn Butler in her memory. Marilyn was a longtime board member of the library and enjoyed gardening. She donated landscaping plants to the library every year prior to her death. The rain barrels will be an asset in keeping the flowers watered during the summer months. Thank you to the Butler Family and to Vernon Dickey and friends for making this project happen in our community. The staff and board of the Heyworth Public Library District thank you! 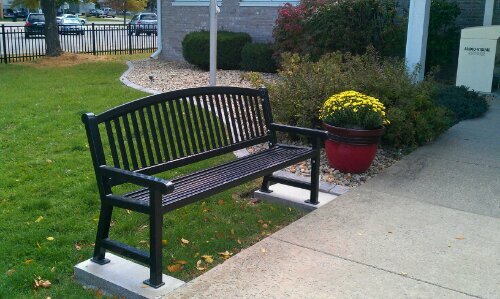 These benches were purchased with generous donations from the family and friends of Maxine Glan and Thelma Van Winkle. There is a bench at both entrances to the library. The mums were purchased with funds donated by GFWC (General Federated Women’s Club). Heyworth Public Library received over 50 cake pans from the family of Leta Shankel. 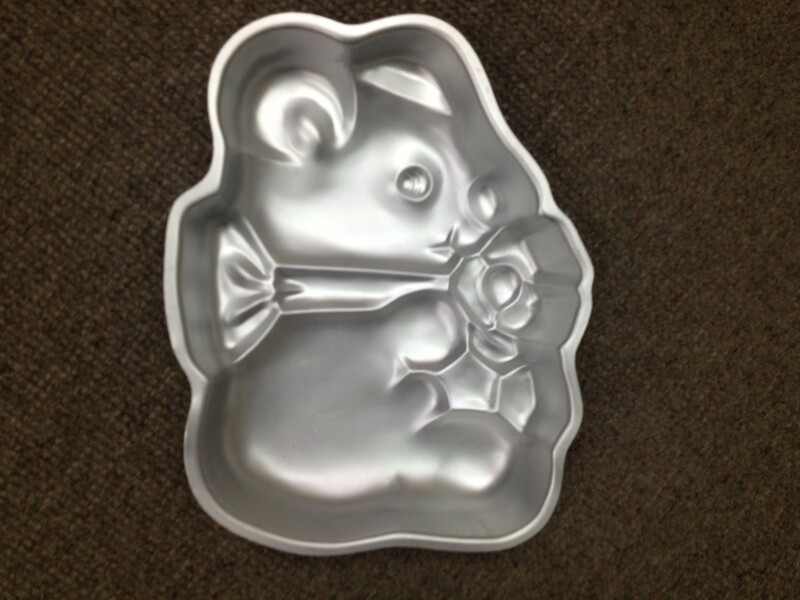 We are thrilled to be able to offer cake pans for a free 7 day checkout to our community. Thank you Shankel family for sharing your mother’s memory with the Heyworth Library. 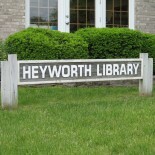 The Heyworth Board of Trustees commissioned Heyworth resident, Larry Carl, to make and install a book shelf in the Community Room in memory of longtime patron and library trustee, RoBerta Thomas. 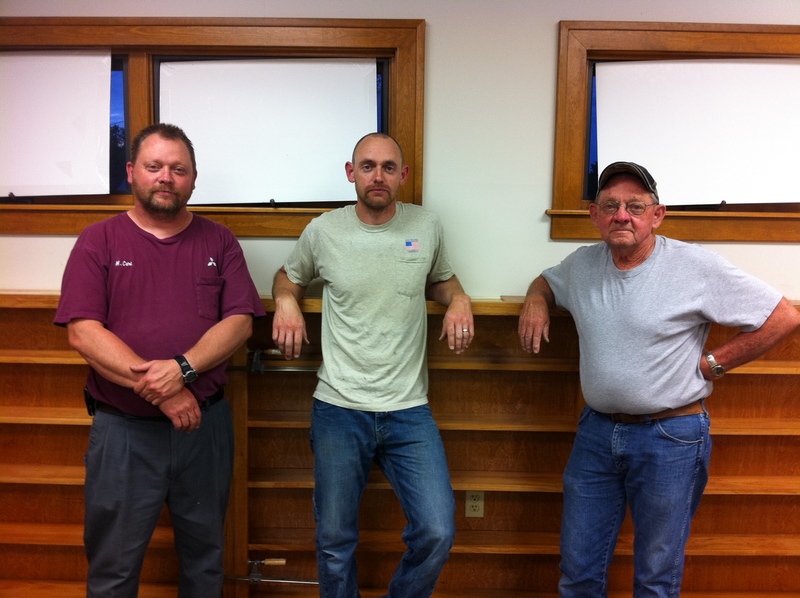 Mr. Carl generously gave his time to this project and the library purchased his supplies. A plaque was installed recognizing Thomas’ 38 years serving on the board. She was the secretary for most of these years and was known to write the minutes in verse during the early years of the library. Her sense of humor and passion for public libraries will be remembered for future generations. Mike Carl, Jason Carl and Larry Carl. 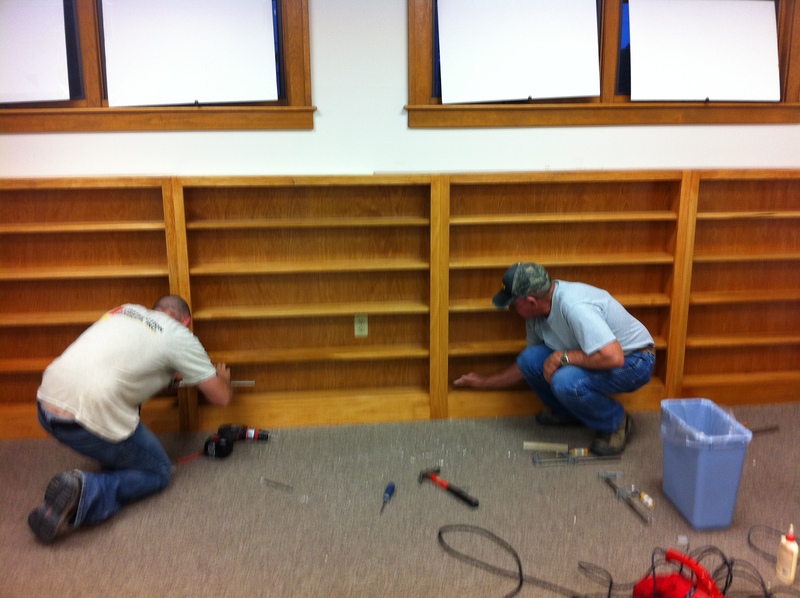 Larry built the shelves dedicated in memory of RoBerta Thomas.